The culinary team at the Pink Beach Club offers a casual interpretation of The Loren Hotel’s commitment to seasonal locally-sourced cuisine. This breezy, relaxed atmosphere is the perfect setting to enjoy Bermuda’s premier burger and other dishes that delight and surprise. With this local, sustainable mindset, Pink Beach creates meaningful, lasting relationships with food producers and also with delighted patrons who praise the delicious inventions on offer. Daily specials are also available, and each day is different depending on the freshest fish, meats, dairy and produce delivered. You could eat at Pink Beach throughout the week and never have the same meal twice! As culinary director of the Miami Open and catering to events such as the New York City Wine and Food Festival and the Relais and Chateaux Grand Chefs Dinner – the “haute couture” of fine dining – Chef Tim draws on his extensive knowledge and creative imagination to offer you a food journey never to be forgotten. 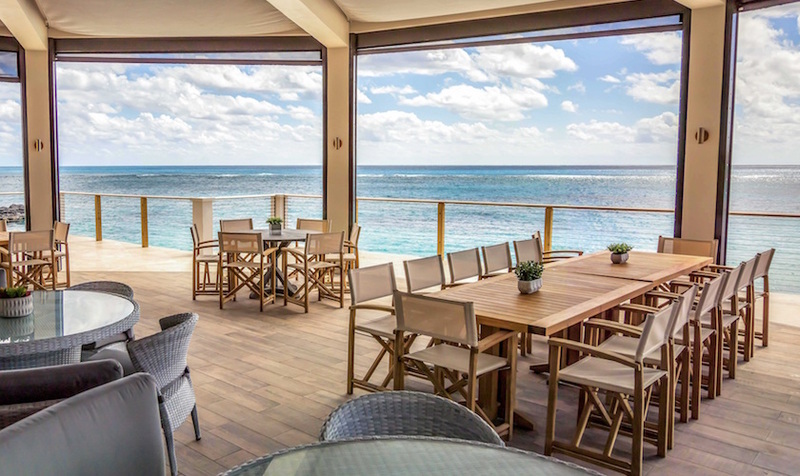 Visit the Pink Beach Club to experience fresh, seasonal cuisine and Bermuda’s beautiful south shore.